Servo motor Japan Panasonic& Germany speed reducer . Transducer & photoelectric sensor system, while fabric not flat or upwarp ,it will alarm,and printhead will stop working.One set of this system installed beside belt,another one beside printhead. 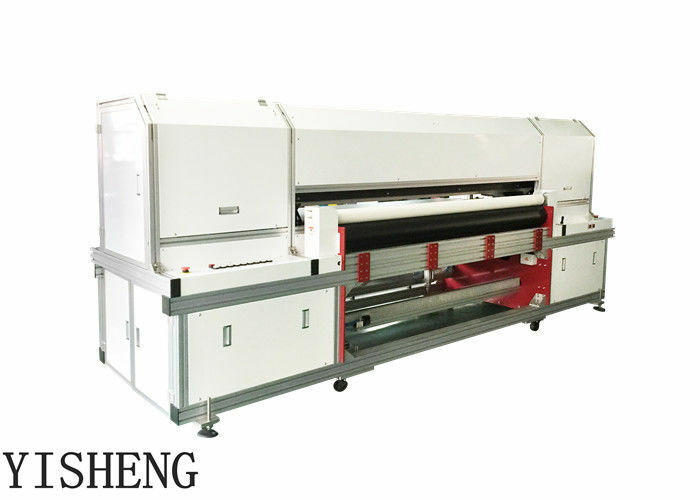 Belt-transporting system,integrated fabric feeding & take-up system,fabric spreading ,fabric entry unit. 1. How many specification our factory produce? 2. How many operators for one set machine? 3. Does print head need to washing? 4. Does the belt need to washing? 5. how is the produce processing?